Maybe we do need some stinking badges. Is Christianity leaving you feeling a little unfulfilled? You may be leading a good life, doing your best to stay faithful, but still feeling like a lame duck, treading water. The Church needs to steal an idea from the Scouts! I’m thinking of a long-standing Scout practice that makes things fun, challenging and rewarding. Opportunities to celebrate our step-by-step advancement, just like the Scouts do! So I went to the Boy Scout website, and stole a few of their badges (they have more than 130 of them) and reworked them for our purposes. See what you think. Would you like to work towards any of these? Archery Badge: Demonstrated ability to articulate the church’s mission and vision with bullseye accuracy. Backpacking Badge: Demonstrated ability to carry your own weight on a committee. Family Life Badge: Demonstrated ability to minister to all ages and relationships. Hiking Badge: Demonstrated ability to travel outside the church’s doors in order to connect with new people. Public Speaking Badge: Demonstrated ability to share your faith story or to pray in front of others. 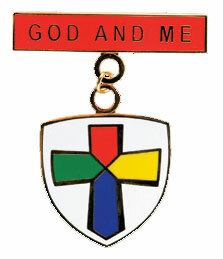 Search and Rescue Badge: Demonstrated ability to reach out to church members who haven’t been in attendance recently. Sustainability Badge: Demonstrated ability to focus on prayers, presence, gifts, service, and witness as they form the ongoing life of the church. Wilderness Survival: Demonstrated ability to stay faithful and committed to the church even during times of discernment, conflict, or change. That’s just scratching the surface! We could have badges for all kind of achievements. People could wear their badges proudly — not to elevate themselves, but to encourage others in their discipleship. What do you think? Would badges help you set faith goals and work towards them? B A Z I N G A ! Will people still watch the TV Show if they have to take that word “Theory” off the title? I’m talking about the Big Bang Theory, of course. This week at least part of that theory appears to be proven true. The Harvard-Smithsonian Center for Astrophysics made an announcement that using some monitoring equipment based at the South Pole, they were able to observe gravitational waves. These are consistent with Albert Einstein’s long unproven notions about the nature and expansion of the universe. Okay, me neither. I mean I get the concept, but it’s a little over my head. The Book of Genesis makes it so easy to understand: God had a busy week, and made everything. Including us. No fuss, no muss, no unfathomable accounting of time and space and “gravitational waves”. Just sunlight, and water, and plants, and animals, and people. Which story do you like better? The one where all matter was originally condensed to the size of a marble, and then “BANG!”, or the one where God hovers over the deep and says “Let There Be Light”? I, for one, like them both. The story from science tells me about a release of energy greater than I could possibly understand. The one from the Bible tells me about God’s creative power unleashed. Are science and religion telling the same story? Some people on both sides would adamantly say ‘no’. I say one tells the story through numbers and theories. And the other tells the story through ideas and imagery. I believe that when the universe comes more clearly into focus, so can my faith. 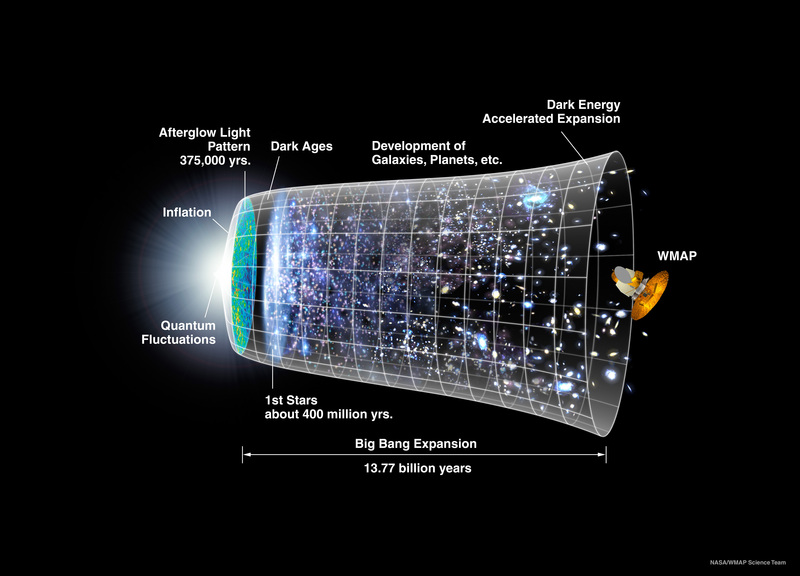 Today, the Big Bang is less of a theory and more of a fact. 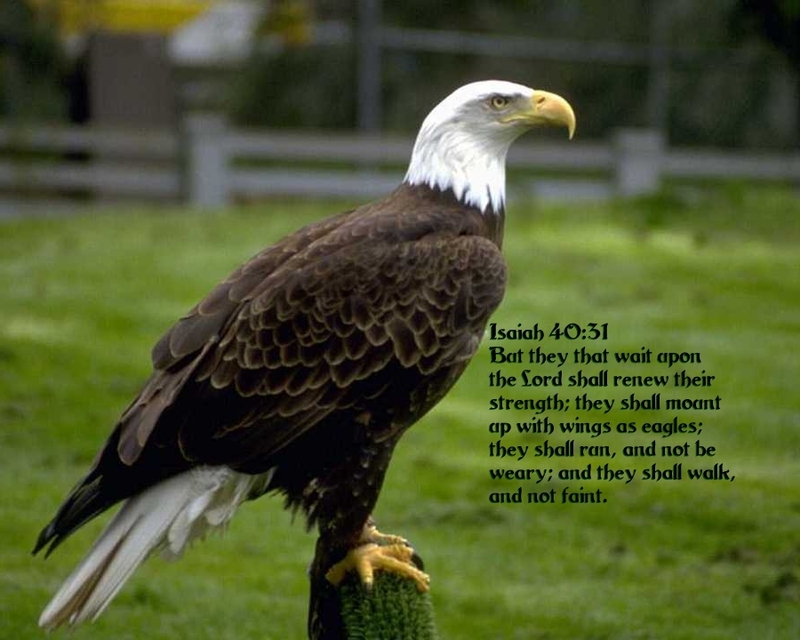 And my faith in God’s unfolding power? It’s stronger than ever. Have you heard this song? Take a listen. Guaranteed to brighten your day. Question: Have you ever felt like a room without a roof? Once upon a time, there was a guy who was paralyzed. He was confined to bed all day long. It made his friends sad. One day, they heard about a guy in town who could do amazing things. So they gathered up their friend on a stretcher, and they carried him to the man’s house. they couldn’t get in through the front door. So… they climbed the roof. And then they began to pull off the thatch ceiling. 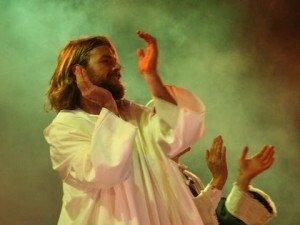 And there below, inside the main room, was the healer, Jesus. and allowed them to lower this man down through the ceiling. And the man stood up, and walked. and that’s exactly how he felt. Like the sky was the limit. He felt happy. And so did Jesus. And so did his friends. I felt like raising the roof and putting my hands together. Maybe that was Christ at work inside me. How about you? Ever felt that way? Are you ready for the Ash Wednesday Fairy???? 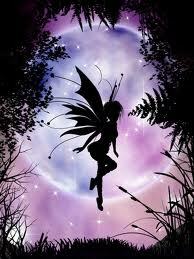 And we set them out for the Ash Wednesday Fairy to steal, and take back to her lair and burn on a big bon fire. And on that day only, if you come across somebody who is smoking, you get to yank the cigarette out of their mouth, and stomp on it, and yell, “Give it up!” before running away giggling. And late in the evening, when we’re dozing after dinner, the Ash Wednesday Fairy sneaks in through the heating vents, and when we’re not paying attention, she smudges our foreheads with the ashes from all the food and cigarettes and stuff she’s burned. And then, of course, we give each other presents to signify the beginning of Lent. But since Lent is a time of self-denial we don’t really give presents, we just wrap up empty boxes in newspaper. 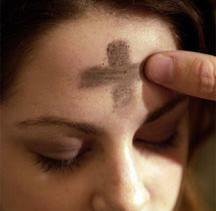 At least, it could have been, if Ash Wednesday had a better marketing department. Instead, this Holy Day is a time of quiet and reflection. A time to begin a more solemn journey. A time to set aside the things that distract us. A time to be touched with the sign of the cross, with ashes made from last year’s Palm Sunday celebration. No gifts. No fairies. No complicated traditions, even. No one even gets mad at you if you forget to go.